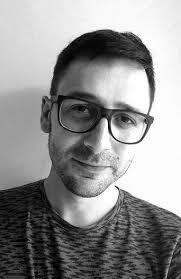 Xavier Bonet (1979) is an illustrator and comic drawer who lives in Sant Boi (Barcelona). He currently works for one of the most important agencies of illustration for children in the world, Plum Pudding Illustration Agency. Focused in the world of illustration and comic, he creates from his studio works that are full of colour, textures and feelings, combining traditional and digital tools, putting his stamp on them. With everything related with the world of literature for children and teenagers, he tries to create his works with magic, fantasy, but especially with passion.